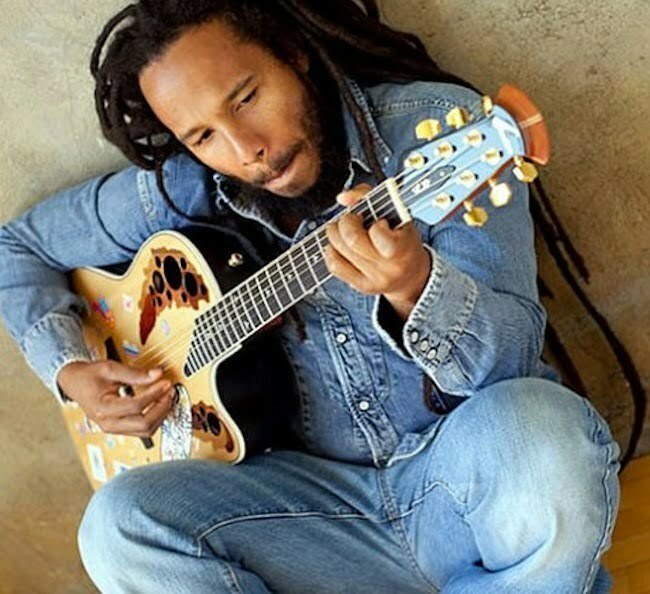 Grammy-award winning singer, songwriter and reggae giant, Ziggy Marley returns to Tahoe, along with Trombone Shorty & Orleans Avenue, a funk, rock, jazz and hip-hop band, for a co-headlining performance that promises to heat up the BaseJam Summer 2015 Outdoor Concert Series, July 30, at the new Hard Rock Hotel & Casino Lake Tahoe outdoor arena. Tickets are $40 for general admission and $75 for VIP and go on sale Friday, May 1. A world humanitarian, Marley leads Unlimited Resources Giving Enlightenment (URGE), a non-profit organization that benefits efforts in Jamaica, Ethiopia and other developing nations with a range of missions, including building new schools to operating health clinics, among other charitable ventures. New Orleans native, Trombone Shorty has been performing since the young age of six and has been touring internationally with brass bands throughout New Orleans and worldwide with Lenny Kravitz. As front man to the wildly talented Trombone Shorty & Orleans Avenue, the band has released three albums, including the Grammy-nominated “Backatown,” in 2010, followed by “For True” in 2011 and the latest release, “Say That to This,” in 2013 featuring Trombone Shorty’s New Orleans funk and jazz roots. Trombone Shorty has appeared in several episodes of HBO’s “Treme,” and has been a guest on “The Tonight Show with Jay Leno,” “Jimmy Kimmel Live” and “Late Night with Jimmy Fallon.” He has performed at the White House in honor of Black History Month with such music greats at B.B. King, Mick Jagger, Jeff Beck and Booker T. Jones. In 2012, he received the President’s Medal from Tulane University in recognition for his charitable work with the Trombone Shorty Foundation, which donates quality instruments to schools across New Orleans. The BaseJam Summer 2015 Outdoor Concert Series at the Hard Rock Hotel & Casino runs June 27 through Labor Day weekend. The concert series kicks off with the 3rd Annual Lake Tahoe Reggae Festival on June 27 and the Lake Tahoe Bluegrass Festival on July 11. Hard Rock Hotel & Casino Lake Tahoe and PR Entertainment, Inc., a national entertainment and sports production company are co-presenting the BaseJam Summer 2015 Outdoor Concert Series. The property is transforming its back parking lot into an outdoor arena providing an intimate setting for top-name national artists and festivals through Labor Day weekend. PR Entertainment, Inc., is building and operating the temporary outdoor concert amphitheater that holds up to 7,500 people. The outdoor arena offers food concessions, full-service bars and a sponsor/vendor village to purchase retail items.